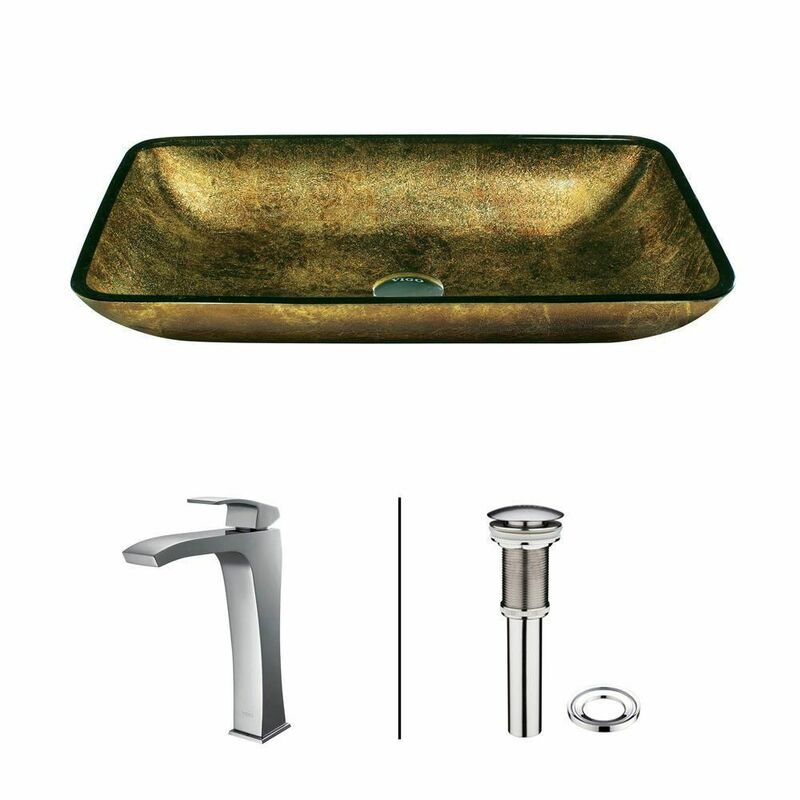 Glass Vessel Sink in Rectangular Copper with Faucet in Chrome is rated 5.0 out of 5 by 1. Rated 5 out of 5 by Anonymous from Looks beautiful! Easy to install and looks amazing! I would definitely recommend this! Faucet is very heavy duty....we get lots of compliments!